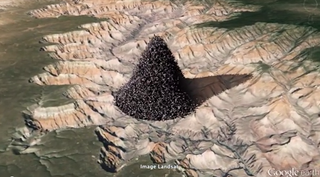 What If You Piled Every Human On Earth Into The Grand Canyon? There are more than seven billion human beings living on Earth. That sounds like a lot until you imagine all of them sitting in a pile in the Grand Canyon.